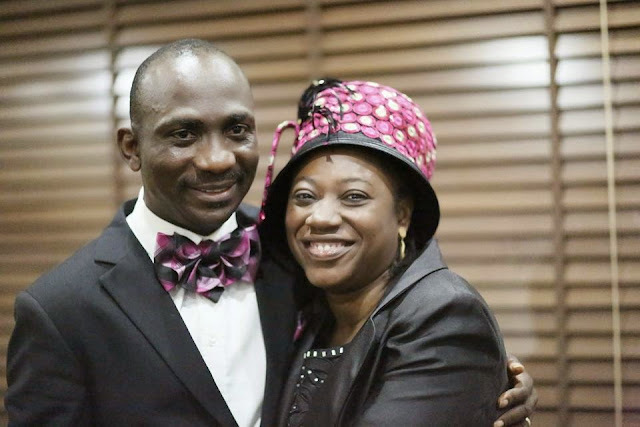 Dr. Becky Enenche, wife of the senior pastor of Dunamis International Gospel Centre, Abuja, Dr. Paul Enenche has banned kissing, hugging and pecking in the church. The pastor’s wife said such act would no longer be tolerated in the church. Express NG reports that the wife of the medical doctor-turned pastor stated this recently while addressing a gathering of youths against such unholy act in the house of God. She said, “how would a brother hug a sister and tell her, I just want you to know that I love you. You are looking for trouble. “With your two eyes open, you want to fall into a pit. “And of course that eliminates kiss. Either peck on the forehead, on the head, on the cheek, on the mouth even on the ear, all is hereby banned,” she said. Dr. Becky, a native of Ikachi, Oju Local Government, Benue Nigeria is a remarkable teacher and conference speaker.